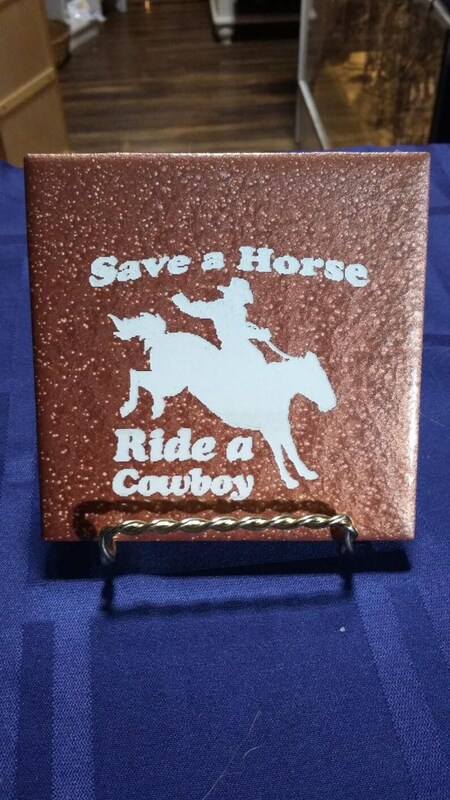 This particular 4-pack of color laser engraved ceramic coaster option depicts a picture of a cowboy riding on a bucking bronco horse. Above him, it reads, "Save A Horse", and below him it says, "Ride A Cowboy." This set is sure to start some fun conversations, whether you really use them with friends for your favorite adult beverage, or if you simply display it where it can easily be spotted by friends, family, etc.